Get our most popular 3-per-page manual business check as a convenient self-mailer. 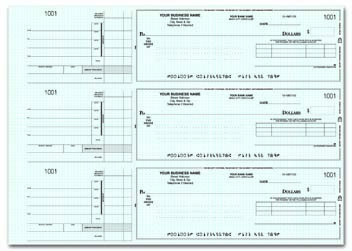 This useful time-saver is designed to work with the double-windowed Manual Check Envelopes so that the name of your company and the name of the person receive you checks are displayed clearly. That means you don't have to go through the hassle of writing out names and addresses every time you need to send a check in the mail. 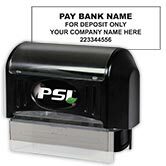 There's space on the face of the document to print or write the name and address of the payee. 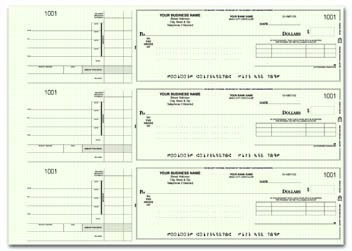 Order your own General Disbursement Self-Mailer Checks today. 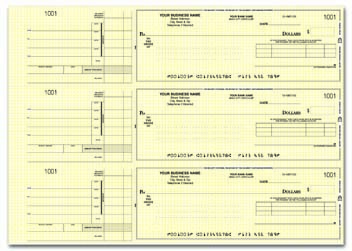 You can also add a 7-ring binder or comb binder to keep your checks organized.